Homeowners who are looking to take advantage of today’s rising home prices and ultra low interest rates, may be looking to take the first step towards that goal by putting their home on the market or listing it for sale. If you’re a homeowner looking to move up to your dream home or one that you foresee you will own long term, now may be one of the best times to do so. Sales data shows that home prices are beginning to climb. So if you’re moving, for example from a $400,000 home to a $600,000 home, and prices are climbing at a rate of 5% per year, your current $400,000 home will increase by approximately $20,000. While at the same time the $600,000 home is rising by $30,000 – a difference of $10,000 in one year. Add to this fact that mortgage interest rates are at historical lows right now, hovering in the mid 3 percentile, it is a great time to take action or risk losing tens of thousands of dollars per year due to rising home prices and interest rates. Perhaps you are a homeowner who is suffering from an underwater mortgage or some other financial hardship? If this is the case a short sale could offer you some relief. There are numerous laws in place at both the State and Federal levels that are beneficial to sellers suffering financial hardships. But these laws won’t last forever and will expire in the near future. You can read more about these laws and their benefits to you here <http://dreamwellhomes.com/short-sale-laws/> . So now that we’ve established that this is the best time to take action and sell your current home, where do you begin? The first logical step is to begin looking for competent Real estate Agent Teams to assist you. You can start your search by doing some online research. Choose some of the most popular real estate sites such as Zillow.com or Trulia.com. Both of these websites have a menu heading named “Professionals” or “Pro”. On the location field, enter your zip code and then view the results. First look for agent Teams of at least two people – real estate transactions have numerous “moving parts”, not to mention that good agent Teams are busy with many sellers, buyers and multiple transaction all going on at the same time. This can be extremely challenging for a single real estate agent. Read more about the advantages of an Agent Team here. 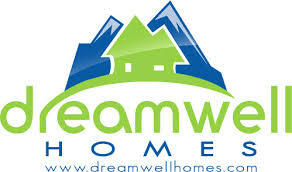 Once you find a good candidate agent Team, click on their name to read their profile and access their client testimonials <http://dreamwellhomes.com/testimonials/> . Client testimonials are important, if no one cared enough about an Agent Team to even provide feedback it could be a warning sign. However a good Agent Team also needs to possess other good traits. Good and active agent Teams should also have their own website which should be included within their profile pages on the major real estate websites. Click the link to access their website. You will want an agent Team who has a functioning website with a decent amount of content and helpful tools aimed at home sellers <http://dreamwellhomes.com/home-sales-report-san-diego/> . You’ll also want to check their website for client testimonials and to see that they understand the importance of buyers by providing them with some sophisticated home search tools. While on the agent Team’s website, look for links to their social media pages such as Facebook <https://www.facebook.com/dreamwellhomes.real.estate> and Twitter <https://twitter.com/dreamwellhomes> and browse their posts. Why are Internet tools like these so important? They are critical because almost every aspect of selling a home is now performed on the Internet. Almost all of the marketing of a home for sale is done on the Internet. So, when it comes time to interview your candidate Agent Team, make sure to ask them what their Internet marketing plan consists of. In addition, over 90% of home buyers now start their home search online before ever contacting an agent. Having a tech-savvy agent team in today’s real estate environment is a must. You can also use a search engine like Google.com to look for home seller related articles, such as “sell my home fast (add your city name)”, “San Diego real estate conditions report”, “recent home sales report San Diego County homeowners”, or “short sale help for San Diego County homeowners” etc, to see which agents Teams show up in the search results. Showing up on search engine results are just one way that a good agent team capitalizes on Internet marketing, which is helpful when you are selling your home. Note: disregard the top three or four results at the top of the results pages, which are usually highlighted in a light shade of pink – these are paid advertising positions. In relation to an agent Team’s Internet presence, what you’re really looking for are demonstrable marketing skills. If the agent Team isn’t effective at marketing themselves, how successful will they be at marketing your house <http://dreamwellhomes.com/internet-marketing-to-sell-your-home/> and attracting buyers, of which we already know that over 90% of them are searching for homes like your online? Once you have done your research and narrowed the focus down to a few professional real estate Agent Teams, it is time to make some phone calls. Keep track of which agents you reach immediately, or who responds in a timely manner, say 30 minutes or less. Disregard those who do neither. To those who do respond quickly, speak briefly about your desire to possibly sell your home and notice the Agent Teams who ask the most pertinent questions so as to understand your situation thoroughly. Agent Teams who ask clarification questions from you, will also be diligent in asking qualifying questions from your potential buyers, which could help you save a tremendous amount of time and heartache later on when your house is listed for sale. Schedule face-to-face interviews with those Agent Teams who have responded quickly who you have felt comfortable with on the telephone. Although good Agent Teams are busy, they should give you the appropriate amount of time to answer all of your questions and not push their own agenda onto you. As you conduct your interview pay attention to your feelings – is this an agent team that you feel comfortable with? Are they answering your questions and confirming that you understand their answers? Are they providing you comparable homes that have sold in your neighborhood, and are they explaining the methodology of how these homes selling prices affect your listing price? If they are not doing these things, or are trying to suggest a listing price for your home without enough neighborhood focused recent sales data, then it may be a good idea to check out some other agent Teams. Another good sign while conducting your interviews is when agent Teams offer suggestions on how to improve the marketability of your home to buyers. Timid agents who avoid this may be more of a hindrance to the sale of your home than you can afford. Notice which agent Teams take notes as the interview progresses. Again, thoroughness and clarity are a big advantage towards the successful sale of your home. At this point your decision will inevitably come the eventual recommended listing price for your home. Be aware that some agents have been guilty of “buying” a listing. Buying a listing is a practice of attempting to be the chosen agent by providing the highest recommended listing price, knowing that this listing price is not one that the market will support. If you happen to choose this agent, you may be on a long and frustrating road of price reductions until you find a buyer. It is prudent to make all of the agents argue their support for the listing price they recommend. Once you are comfortable with a particular Team, of your decision to sell and of the beginning listing price for your home, move forward and hire the agent Team of your choice. If we may be of assistance in potentially selling your home, call us at (760) 798-9024. DO YOU RECOUP YOUR HOME IMPROVEMENT COSTS WHEN YOU SELL YOUR HOME?